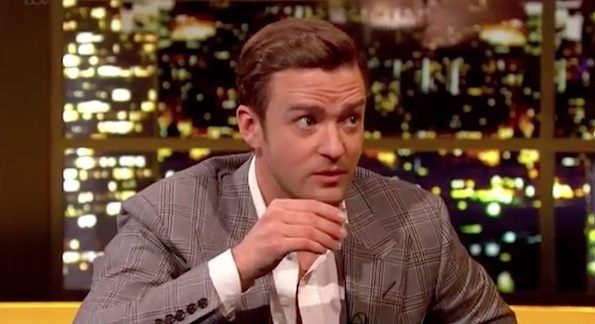 First it was Justin Timberweek, then Timbermonth, now 2013 is officially Justin Timberyear! Yesterday, the internet continued the prince of pop’s reign of musical anti-terrorism with a video of his visit to The Jonathan Ross Show from last month, before SNL and his album’s release. Charm and hilarity (and one Michael Caine impression) ensued when Ross pulled out a couple of shot glasses and a bottle of Timberlake’s 901 tequila.